MACON, Ga., Apr 03, 2019 (SEND2PRESS NEWSWIRE) -- LBA Ware(TM), provider of the leading automated compensation and sales performance management platform for mortgage lenders, today announced that it has been named to HousingWire's 2019 TECH100(TM) list of the housing industry's most impactful technologies. This marks the fifth consecutive year LBA Ware has been named to the list. The company was recognized for its platform CompenSafe(TM), the only automated incentive compensation and sales performance management software built exclusively for mortgage lenders. To date, CompenSafe has calculated more than $3 billion in compensation and has helped lenders of all sizes motivate, manage and incent their sales and operations teams by aligning compensation plans with organizational goals. "CompenSafe enables lenders to implement creative compensation plans for attracting and retaining talent, controlling costs and improving profitability - all while eliminating the complexity of managing multiple compensation plans manually," said LBA Ware Founder and CEO Lori Brewer. "We are gratified to be recognized by HousingWire for a fifth straight year and consider it a testament to LBA Ware's ongoing investment in industry innovation." "This year's Tech100 list is stronger than ever!" said HousingWire Editor-in-Chief Jacob Gaffney. "We leveraged a highly-qualified selection committee to review all nominations and guide the selection process. This extra layer of expertise and practical exposure to selected companies was influential in helping HousingWire recognize the 100 fintech companies that deserve the honor of being named the greatest players in the game." Now in its sixth year, HousingWire's TECH100 program recognizes companies whose technologies are "pushing the limits of possible" within the real estate and mortgage sectors. A full list of honorees is available in the April edition of HousingWire magazine or online at https://www.housingwire.com/articles/48513-here-are-the-housingwire-2019-tech100-winners. HousingWire is the nation's most influential source of news and information for U.S. mortgage markets, boasting a readership that spans lending, servicing, investments and real estate market participants as well as financial market professionals. Winner of numerous awards, including a 2012 Eddie Award for national editorial excellence in the B-to-B Banking/Business/Finance, HousingWire has been recognized for excellence in journalism by the Society of Business Editors and Writers, the American Society of Business Press Editors, the National Association of Real Estate Editors, and Trade Association Business Publications International. Visit https://www.housingwire.com/ to learn more. Founded in 2008, LBA Ware's mission is to inspire opportunity by delivering solutions that are essential to the way mortgage companies operate. We are a trusted partner and play a key role in our clients' success by enabling them to motivate, incentivize and better leverage the human potential within their organizations. Our applications automate traditionally manual business processes for which an existing software solution does not exist, empowering lenders to create an integrated software environment that maximizes their productivity and operational efficiency. 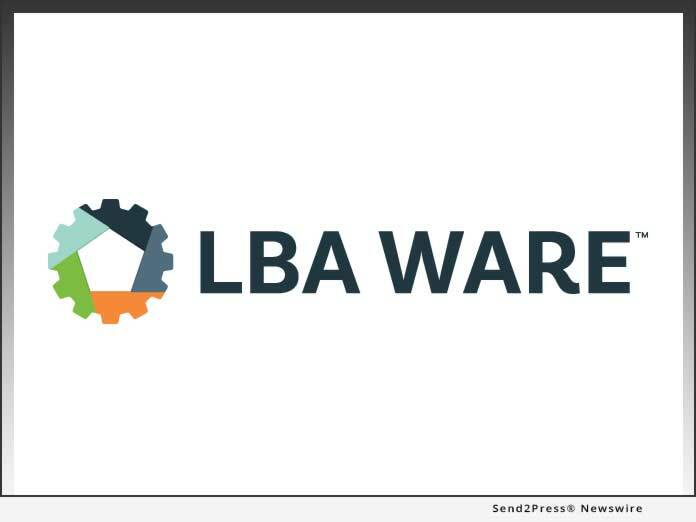 For more information about LBA Ware and our software solutions, visit https://lbaware.com.